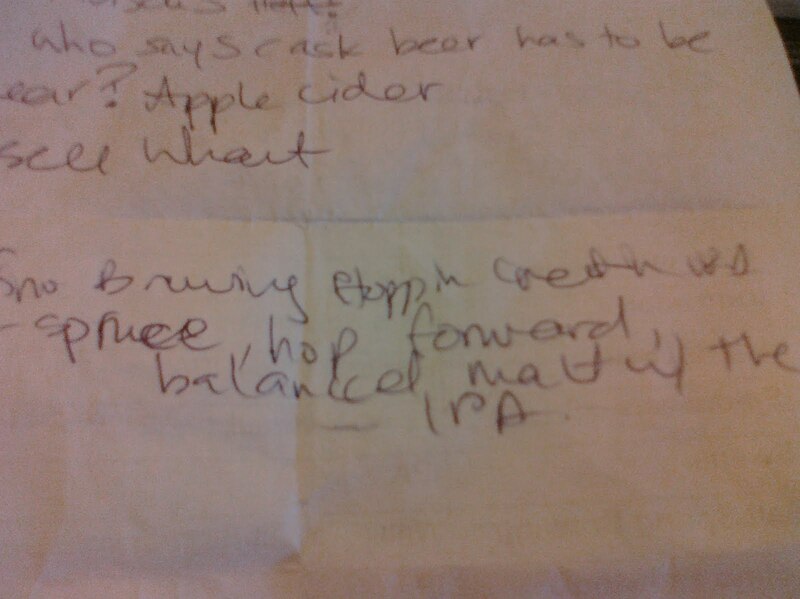 There's this funny thing that seems to happen every time I attend a beer festival - as the day wears on, the glasses go down quicker, the friends become more plentiful... and the notes get messier. But thankfully, it's hard to forget a particularly delicious brew (no matter how many of them you consume). 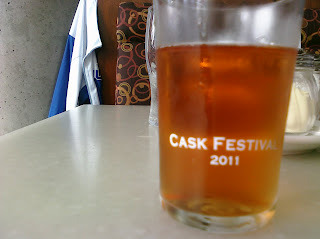 The Central City Brewing Cask Festival - the first of what I hope will be an annual tradition - saw the craft beer crowd gather at the brewery in Surrey to sample specially-made casks from 25 breweries. The beer started flowing just after 11 am, and flow it did. Nobody seemed to mind that it was June 25 and looked more like Feburary outside - we had beer! So much beer! High fives for CAMRA Vancouver! This seemed to be a crowd favourite, and I can understand why. This "strong Belgian cherry ale" (9% ABV) has fantastic, lip-puckering cherry and bold malt flavours, with a sweet undertone. It's rich, malty and fruity - three things I love in a beer. I could see this pairing amazingly with dessert - think chocolate and cherries. As Storm's website warns right off the bat, they make intense, hand-crafted beer. And their root beer is no exception. This one stood out more in a "this is the most unusual beer I've ever tasted in my life" than a "yum, I'd buy a pint" way. It was intensely sweet and almost syrupy, with a huge black licorice finish. Not sure I could get through a pint, but I was eager to try it and and I'm glad I did. Props to Storm for actually creating a beer that tasted like freshly-made root beer. I'm a sucker for a good fruit beer, especially in the summer. This was exactly that - a little taste of the tropics with a smooth, wheaty finish. 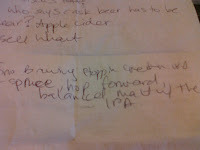 I never did get to meet Paul the brewer and ask him what the menage of unnamed fruits were - but I'll hazard a guess for peaches and/or passionfruit. Definite patio/beach beer. Yum. This was my first taste of Tofino Brewing, and I was not disappointed. In fact, as someone who doesn't place IPAs at the top of her beer-drinking list, I can say with certainty that I loved it. A nice light body, big hoppy nose and hints of citrus and mango (are we sensing a theme here with the fruit?). I also picked up a bit of spruce in there. Perfectly balanced. Plus the name comes from a Ramones song, so automatic bonus points. I would definitely enjoy a cold pint of this with dinner... or pretty much anytime. Honourable mention also goes to the R&B Smoked Porter (creamy, complex, whiskey-infused and delicious), the Vancouver Island Brewing Hibiscus Heffeweizen (consistency of fresh apple cider and a sweet, flowery flavour) and the Russel Brewing Wheat Wine (strong like a barley wine but with a ton of wheat malt). 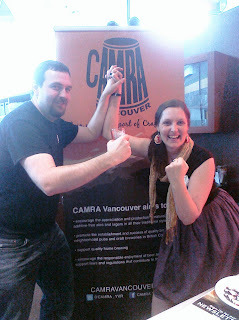 And of course, huge props to Central City Brewing for organizing such a stellar event. Next up on the beer event docket? 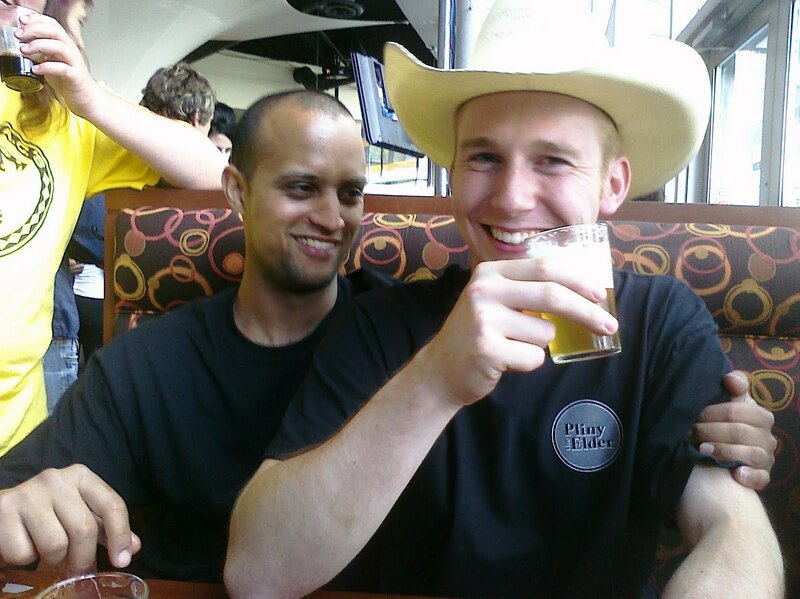 The 2011 Nando's Canada Cup of Beer on July 8-9. Last year was a blast, and if Summer actually decides to shop up before then, this year should be no different. See ya there!